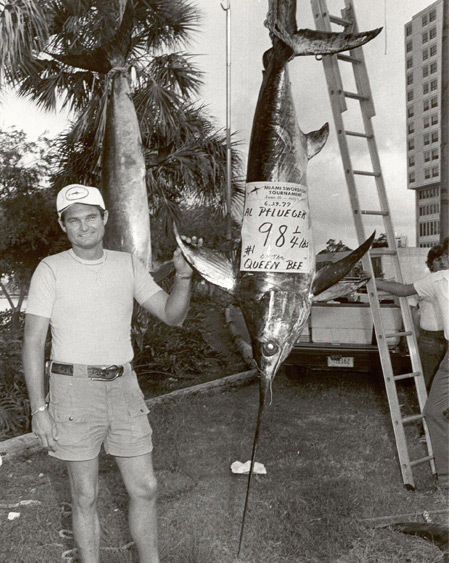 The MET as it was called by the regulars was largest fishing tournament of its kind for many years in South Florida, and some of the greatest legends of the sport participated. 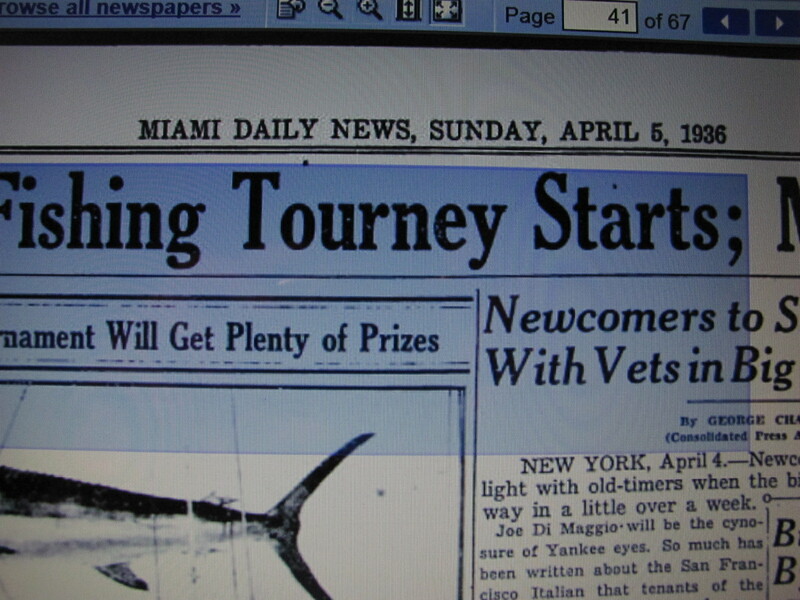 We have to go all the way back to 1936 to document the first tournament that was put together by the H.H. 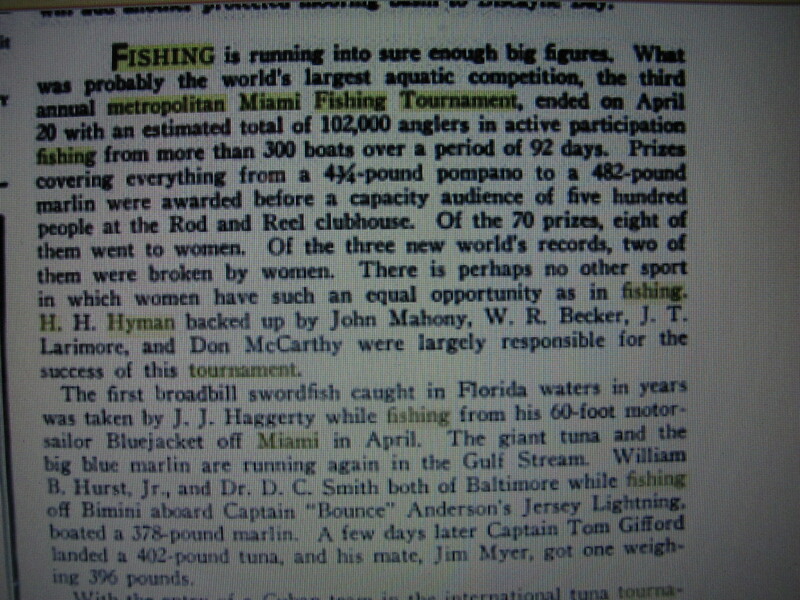 Hyman and the Miami Rod and Reel Club . With Frank Obrien, legendary founder of Tycoon Tackle, as the MET’s first major sponsor, the tournament was on it’s way. 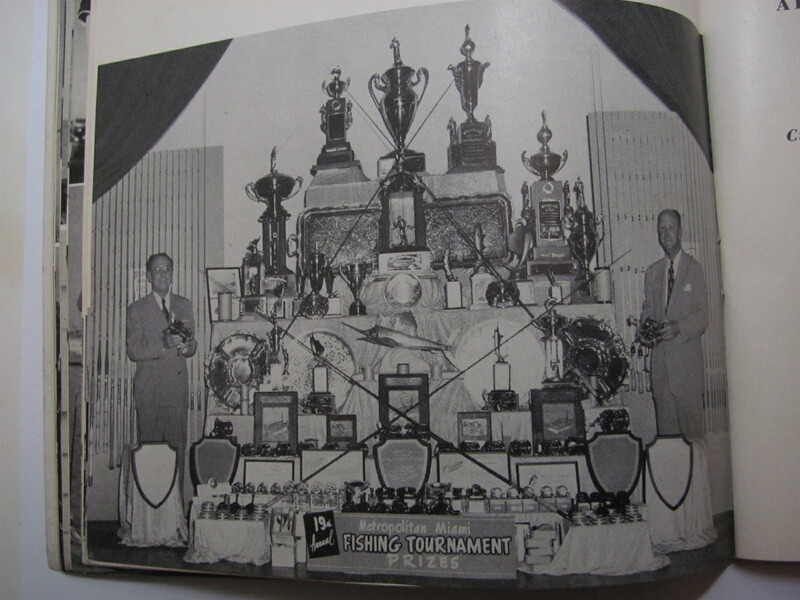 The draw was huge, and in 1938 the tournament was drawing over 100,000 contestants! To celebrate the events, the Miami Rod and Reel Club put out a yearbook at the end of each tournament, with all the recognition awards and pictures from the tournament. It was also a running history of the award winners by category, so everyone could see what weight they were shooting for in the next event. 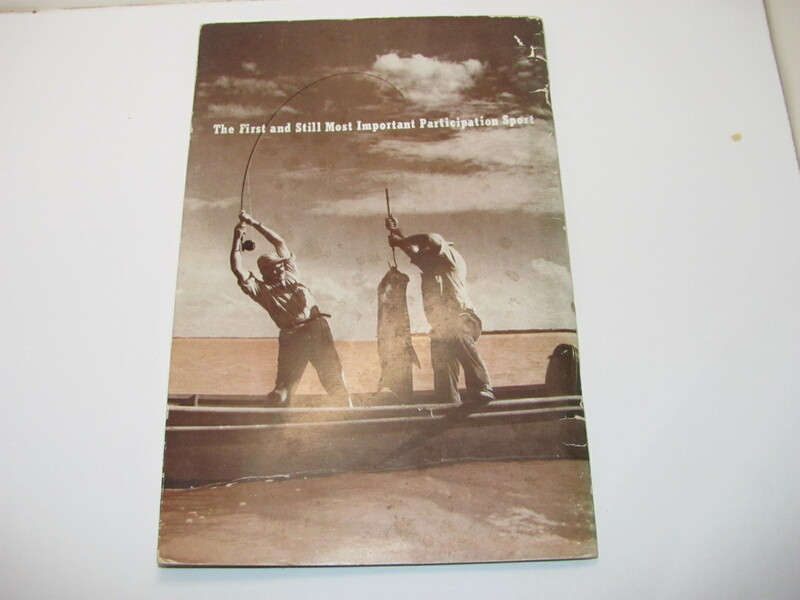 There were prizes for just about every fish imaginable and classes for each such as Fly, Spin, Plug Casting, and Big Game. 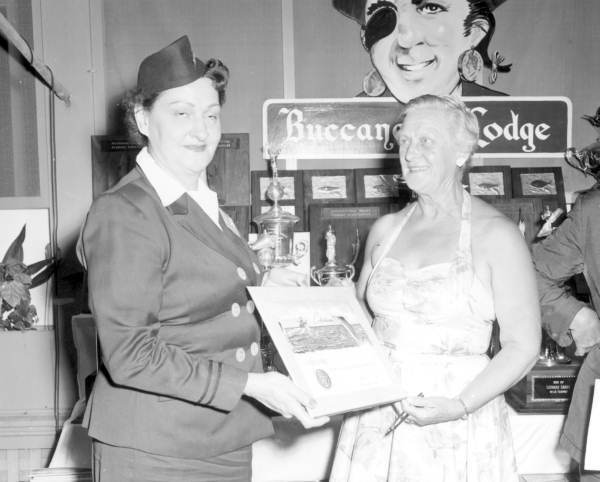 Men were not the only ones to participate as woman had their own category for awards as well. Take a look at some the prizes, no wonder this was such a prestigious event! Here are some of the winners and the awards that were presented. These awards presentations were quite elaborate! As mentioned above, there were many rich and famous that participated in the tournaments over the years. Curt Gowdy, Ted Williams, Al Pflueger Jr, Frank Obrien, and many more. Al Pflueger Jr was the son of the legendary taxidermist in Miami Al Pflueger. Al Sr had a big influence in the tournament, and was the weighmaster in some of the tournaments. He also sponsored the tournament for many years. 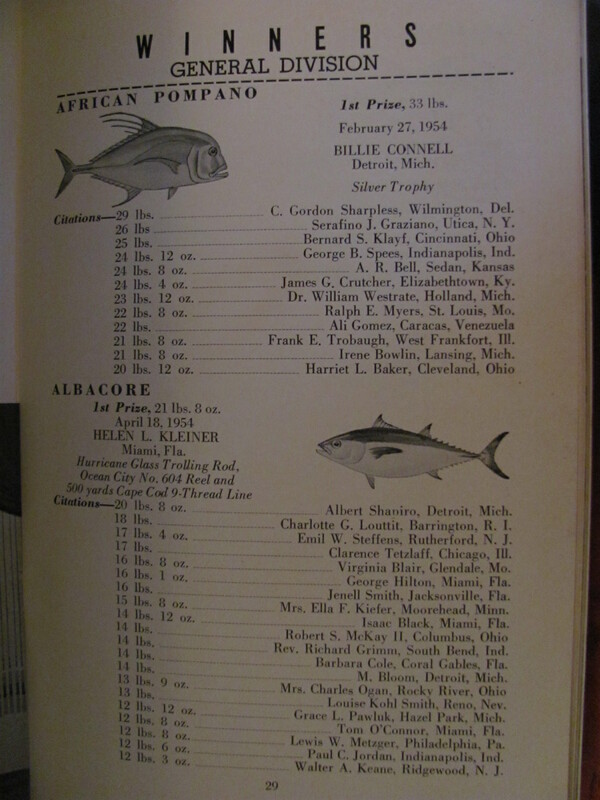 His son, Al Jr had many awards and has been inducted in the IGFA Hall of Fame. 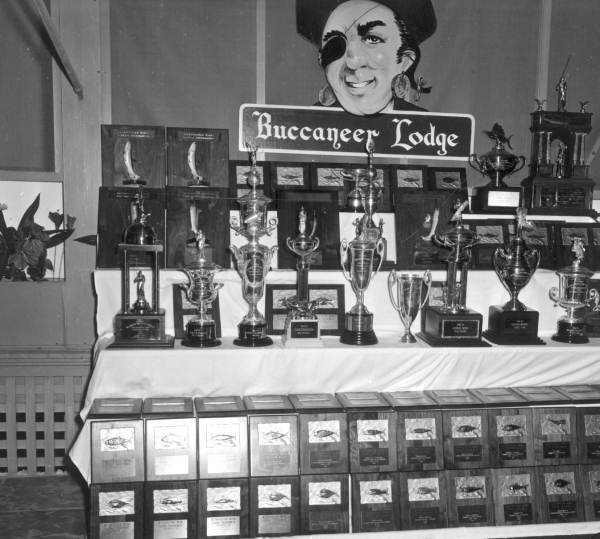 The Tournament lasted into the 1960’s and in my opinion, is a piece of Florida Fishing History, and will never be duplicated.